This is the fastest and most scenic way to travel between the Arenal Vocano and the cloud forests of Monteverde. 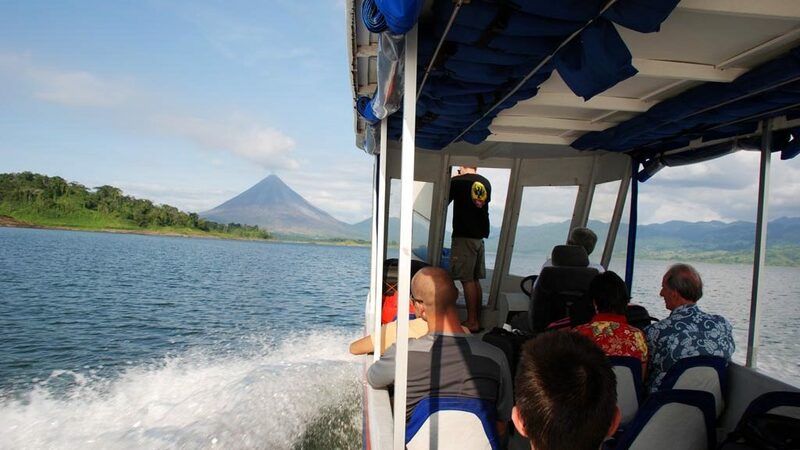 This transfer is available for travel in either direction, and offers a great view of both the Arenal Volcano and the unspoiled and tropical Lake Arenal. This tour is more commenly known as “Jeep-Boat-Jeep.” Please note: We will charge an additional pick up and/or drop off fee for a few select hotels that are located outside our normal pick up region. You will be informed of any additional fees upon making your reservation. From Monteverde to Arenal: Ground transportation from your Monteverde hotel to Lake Arenal; 30-minute boat ride to the town of Río Chiquito; max. of 2 hours of ground transportation from Monteverde to your hotel in Arenal.